The Neal Morse Band is back on the road traveling under the guise of The Road Called Home Tour. The trek blasted off at Rocketown in Nashville, Tennessee on Saturday, January 14, 2017. In the coming months the quintet will journey through the U.S., Canada and Europe in support of the group's latest epic. Clocking in at over 100 minutes, this progressive pageantry runs the range from melodic to moody to mind blowing. Outside of Rocketown before the concert we met a number of people who had come from out of state to experience The Similitude Of A Dream in its entirety in a live setting. 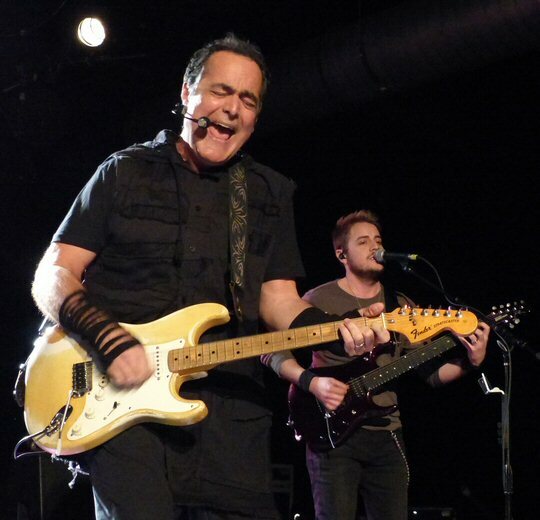 The Neal Morse Band presented a dream show for fans in Nashville. Morse explains that the album was inspired by John Bunyan's book "Pilgrim's Progress" telling the story of a man's spiritual journey from the City of Destruction to the Land of Deliverance. Morse along with drummer Mike Portnoy, bassist Randy George, keyboardist Bill Hubauer and guitarist Eric Gillett brings this complex concept album to life with songs that move from reflective to riveting. Portnoy (The Winery Dogs, Twisted Sister, ex-Dream Theater) states "I honestly think this is THE album of my career. Neal and I have now made 18 studio albums together, and I consider The Similitude Of A Dream the absolute creative pinnacle of our collaborations together." "We weren't sure we had enough music to make a double CD, and yet it seemed as though the concept and the music wanted to go there," bassist Randy George continues. "Ultimately, we created so much great music in the sessions that it just had to be a double album! To cap that off, we worked with a pre-eminent classic album cover artist to create painted illustrations of our concept which will grace the booklet!" Neal Morse spreads the gospel of prog rock at Rocketown. The Music City core were just as enthusiastic about the new material as the band. Classical music was piped in prior to Neal appearing in the shadows draped in dark colors and a hood lamenting "Long Days" that flowed into the opulent "Overture" and "The Dream". Morse utilized a wireless mic so that he could at times act out the tale he was telling. As is Neal's custom he switched from keyboards to acoustic/electric guitars throughout the night. Visuals were also used to full effect to support the story and enhance the already electrifying music. The dynamic "City of Destruction" launched the next stage of the voyage as Neal the narrator realizes that "We Have Got to Go" as things currently "Makes No Sense" and one has to "Draw the Line". This series of music ran the gamut from wistful to warp speed. The spiritual turbulence persisted with a potent "So Far Gone" before Morse appeared in a white hood as he sang hopefully of casting out all fear in the first set's closer "Breath of Angels". After a short intermission the clash of darkness and light continued into the expansive "Slave to Your Mind" connecting to "Shortcut to Salvation" that showcased multi-part singing by this talented crew. "Good evening, welcome," greeted Neal who also declared that "we are so happy to be playing this album for you." He warned that the next tune was a heavy one. "The Man in the Iron Cage" certainly was heavy but also heavenly. The team lightened things up later with some humor as bassist Randy George played his instrument with a stuffed animal hanging from its neck during "Sloth". 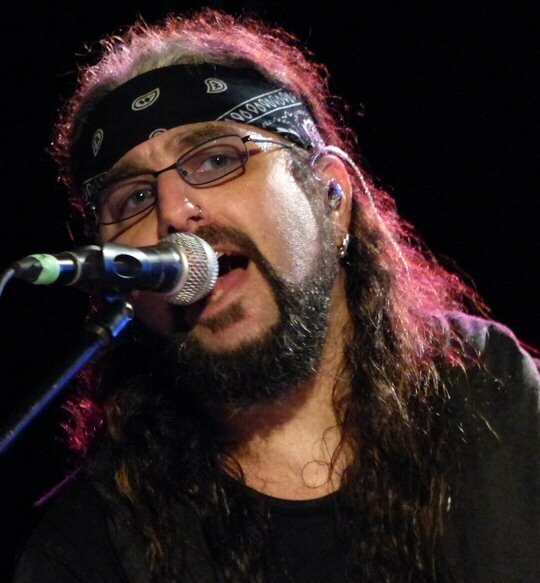 Drummer Mike Portnoy said a few words before taking his place at the front of the stage to shake a tambourine for the faith based "Freedom Song" the "acoustic" moment of the set. 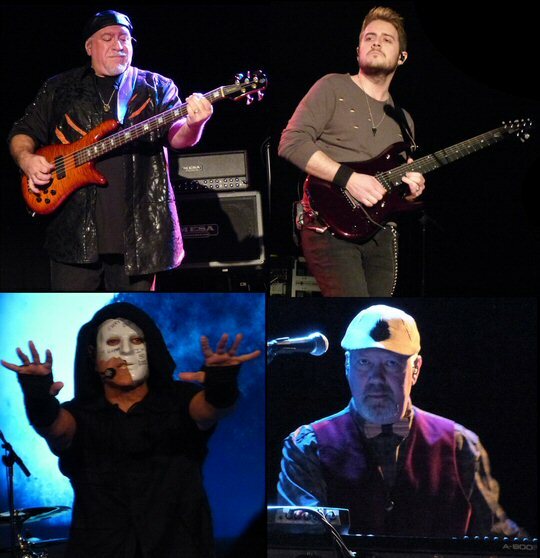 Yet, the mission of salvation was still not complete as The Neal Morse Band still had to orbit "I'm Running", "The Mask", "The Confrontation" into a bold and fiery "The Battle" with a dragon before coming full circle for "Broken Sky/Long Day (Reprise)". With the album complete the quintet returned for a three song encore of fan favorites. The incomparable Mike Portnoy on the road again in Music City. The Similitude Of A Dream was an inspiring and intense experience with theatrical moments. The Neal Morse Band is well respected as top level artists apt at playing this type of compelling and complicated music which had the Rocketown faithful on their feet the whole night. Rocketown located at 601 4th Avenue South in Nashville, TN was the ideal venue to launch this tour. Rocketown's mission is "offering hope to the next generation through Christ's love". The facility hosts live concerts such as The Neal Morse Band. The venue also has Bible studies, potlucks, a skate shop, a skate park, a recording studio, art/music programs and a computer lab. Founded in 1994 by Contemporary Christian Music Artist Michael W. Smith, Rocketown is a faith based youth outreach facility in the heart of Downtown Nashville. Their approach to working with locals is holistic, with programs and services nurturing the mind, body, and spirit. They engage teens through attraction-based facilities, after school academic enrichment and creative arts programs along with a refreshing coffee slash snack bar. Scenes from the Neal Morse Band 2017 World Tour opener in Tennessee.